It’s been a long winter! I am certainly ready for Spring! It’s almost time to pull out the shorts and put away the sweaters. I don’t know about you, but I also tend to make changes in the type of jewelry I wear. Meaning more bracelets, brighter colors, and of course ankle bracelets (anklets). I also find the newest accessories I’ve made reflect the impending warmer weather. For example this bold yellow beauty! 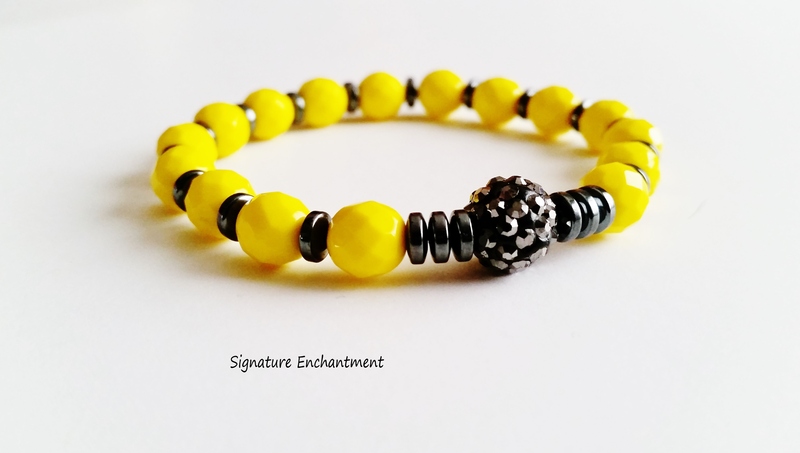 It will grab attention this Spring with it’s bright “Peep” yellow color and shiny charcoal bling. This bracelet will also look fantastic against the tan arm of summer! 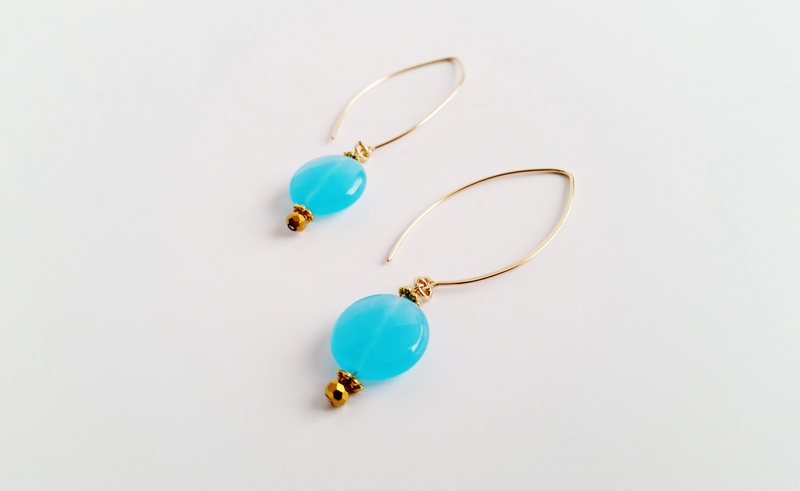 Then there are these gorgeous blue Chalcedony Earrings. They’re made with 14k Gold Almond shaped hooks. The hooks work like the traditional hook style ear wires, but with a modern twist! Last, but not least, the “Feet in the Clouds” ankle bracelet is now available in my Etsy shop. 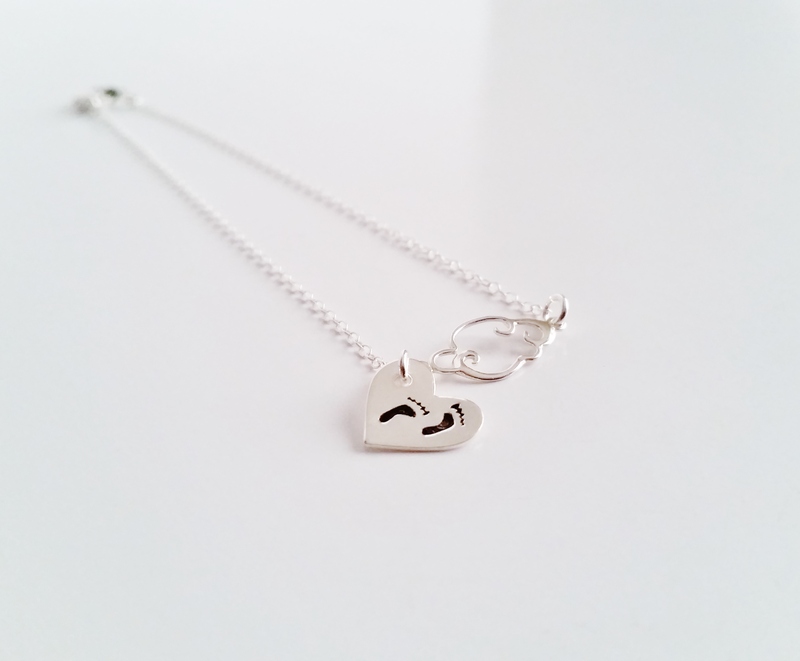 Purchase with a hand stamped Stainless Steel heart or you can opt for the feet to be hand stamped on a Sterling Silver heart of similar size. Make it yours with an additional small Stainless Steel heart charm, hand stamped with an initial and you can even add a coordinating Swarovski Crystal birthstone. That’s just a few of the new accessories I’ve added to my Etsy shop, click on over and check out some of the new selections! …and don’t forget, I love custom orders! Custom hand stamped charms are a hot seller. Especially the small stainless steel heart charms which are only $2.50. I offer a great price to meet your personalized needs!